MOSCOW, August 27. /TASS/. Almaz-Antey defense manufacturer has delivered a new regiment set of the most advanced S-400 Triumf air defense missile systems to the troops ahead of schedule, the company reported on Monday. 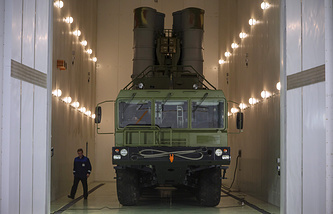 "Almaz-Antey Group has delivered a new regiment set of S-400 Triumf surface-to-air missile systems to the Defense Ministry of Russia ahead of schedule. The official ceremony was held at the Kapustin Yar training range in the Astrakhan Region," the company said. In compliance with the Defense Ministry’s requirements, the systems were tested by engaging real air targets during their transfer. The delivery/acceptance tests were performed successfully," the company’s press office said. 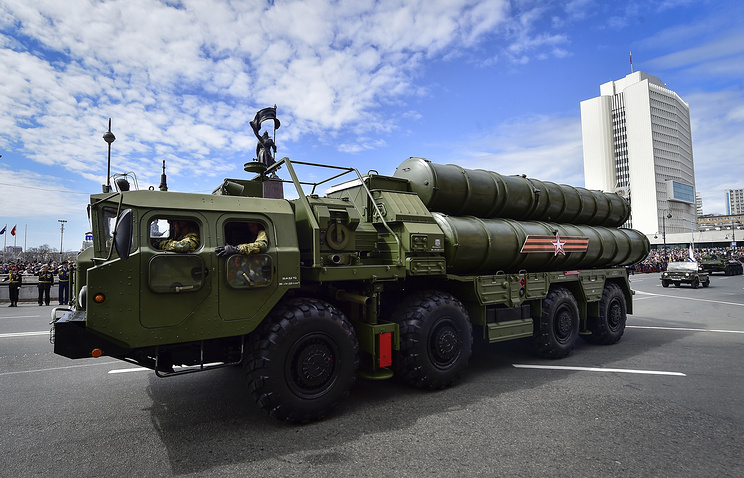 Russia’s S-400 Triumf is the latest long-range surface-to-air missile system that went into service in 2007. It is designed to destroy aircraft, cruise and ballistic missiles, and can also be used against ground installations. The S-400 can engage targets at a distance of 400 km and at an altitude of up to 30 km. Turkey and China have acquired S-400 air defense missile systems, aside from Russia, as of today. A contract on the delivery of S-400 systems to India is expected to be signed.